Everyone can go home now. 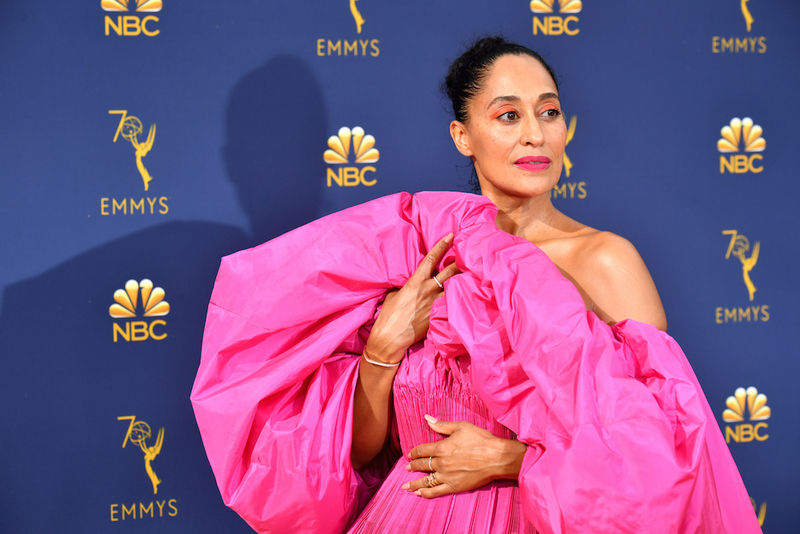 Tracee Ellis Ross shut down the 2018 Emmys red carpet in a fuchsia Valentino haute couture gown. 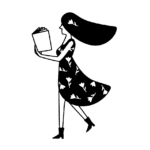 Leave it to her to keep things glamorous, refreshing, and damn interesting. The actress paired her audacious (and enormous!) outfit with vibrant makeup to match. 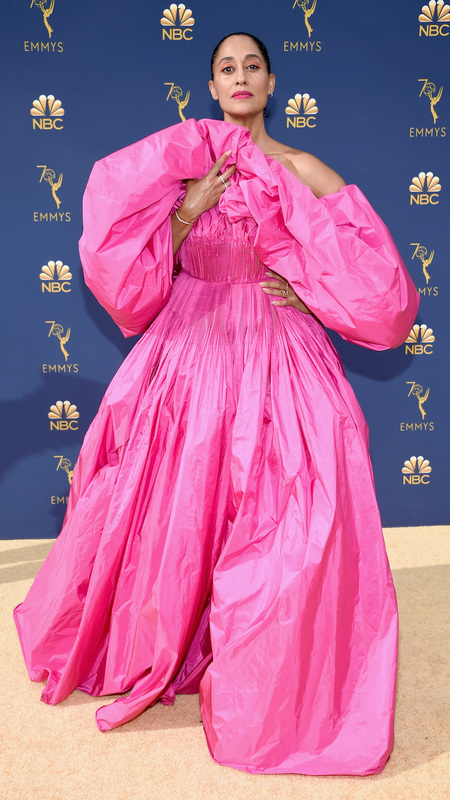 She wore electrifying pink lipstick, orange eyeshadow, and kept her accessories simple because, let’s face it, all eyes were on her show-stopping dress. The Black-ish star smoldered at Monday night’s event (September 17th), and we’re living for this moment. 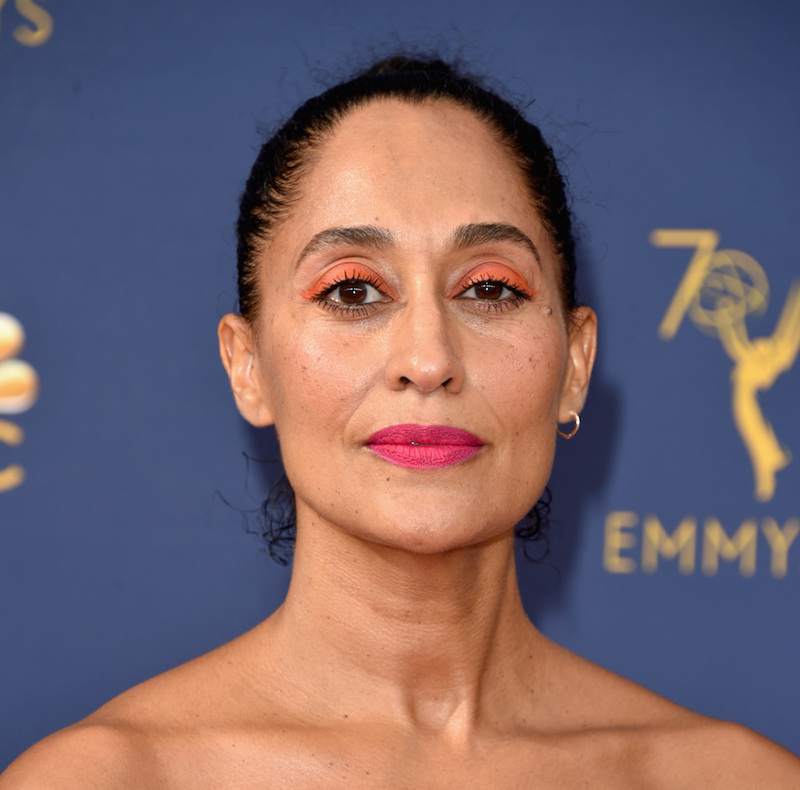 Tracee’s nominated for an Emmy, after all—Lead Actress in a Comedy Series for her role in ABC’s Black-ish. An outfit that is anything but basic. 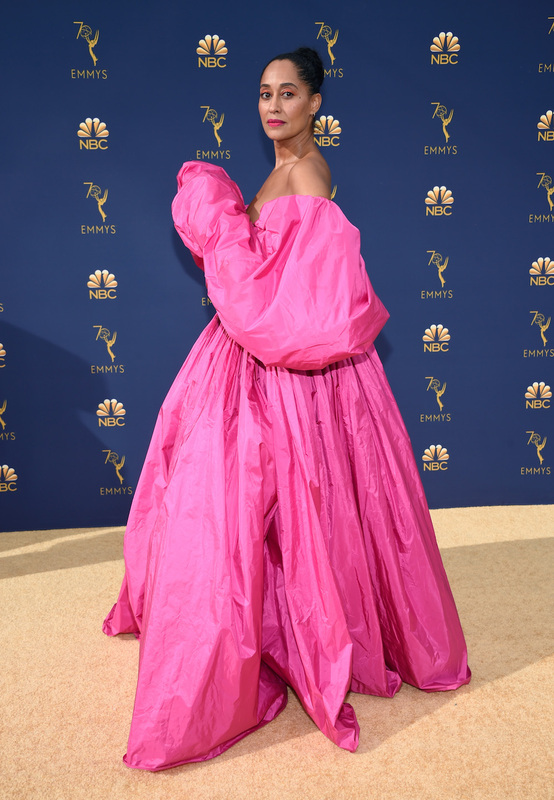 Celebrity stylist, Karla Welch, is responsible for this head-turning outfit. She perfectly captioned her Instagram photo of the actress, writing, “Go big or go home.” Touché. If you look closely, you’ll notice Ross is missing an earring on her right ear. Intentional or mishap? We’re not sure. But we’d be down to take on this trend. Serving us lewks at all angles. Celebrity makeup artist Lisa Storey used Charlotte Tilbury products, including the foundation, lipstick, and blush (from what we can tell in her Instagram photo). Ross’s slicked-back hair was styled by Johnnie Sapong, who used Sauve products. We’ll have to keep our eyes peeled to see what ensembles Ross wears next.